What to eat and where to eat at 150 Maginhawa Food Park. Along with the restaurants in the Street of Maginhawa is the Food Parks that are currently flourishing because of the innovated, unique and variety of dishes that foodies can choose under one roof. Among this Food Parks in Maginhawa is 150 Maginhawa Food Park. 150 Maginhawa Food Park’s name is derived from the street number where the park is located. Fruitas Group of Companies recently acquired the Food Park and turned the former into a comfortable and laid-back venue where food lovers can enjoy dining in a garden-like ambiance with sizeable dining area and well ventilated Food Park. Warm-colored Japanese lanterns that surround a Sampaloc tree will welcome foodies who want to dine at 150 Maginhawa Food Park while an arc with climbing plants serves as its gateway. 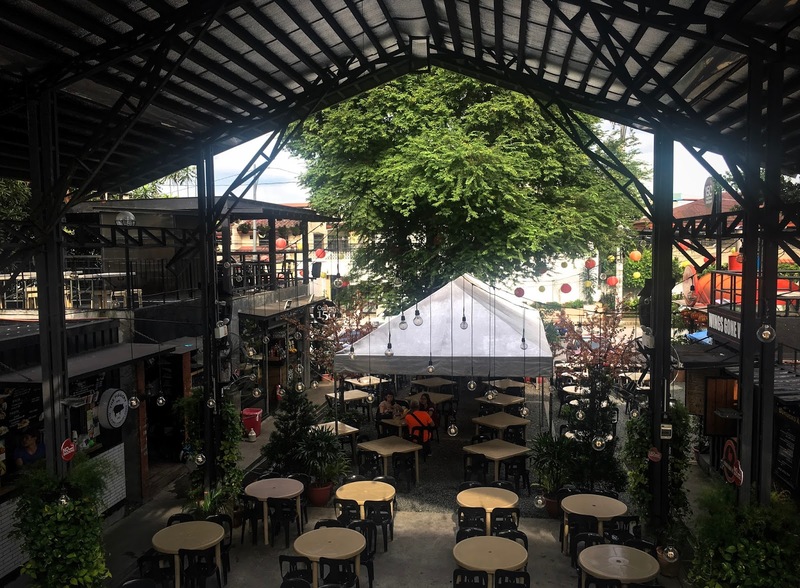 Fruitas Group of Companies installed plants, bushes, climbing plants that surround the posts, and LED Cherry Blossom Tree to provide foodies dining in 150 Maginhawa Food Park a perfect place to stay, chill and bond with family and friends. Arc that serves as the gateway towards the food park. Aside from being a perfect-go-to place to dine and relax, 150 Maginhawa Food Park is the only Food Park in Manila that has a wine cellar and fresh-hand-pulled noodles. 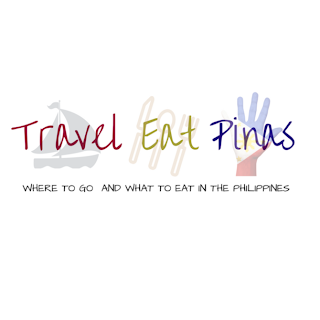 How to go to 150 Maginhawa Food Park? 1. Ride a Jeepney going to Lagro. Fare costs Php 14.00. 1. Ride a UP Ikot Jeepney. Fare costs Php 8.00. 2. Alight at Emilio Jacinta Street, C.P Garcia Avenue. 3. Ride a tricycle going to 150 Maginhawa Food Park. What to eat at 150 Maginhawa Food Park? 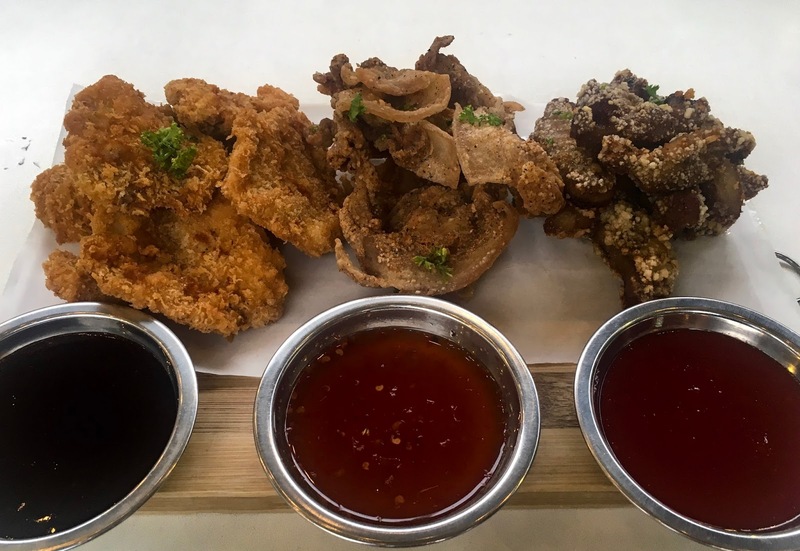 150 Maginhawa Food Park has 12 food stalls with local and international cuisine that can surely satisfy your cravings for bagnet, pho noodles, churros and even ice cream. It also has a wine cellar that serves the finest wines and a food stall that serves fresh hand-pulled noodles. Cellar 150 is the first wine cellar that can be found in a Food Park. 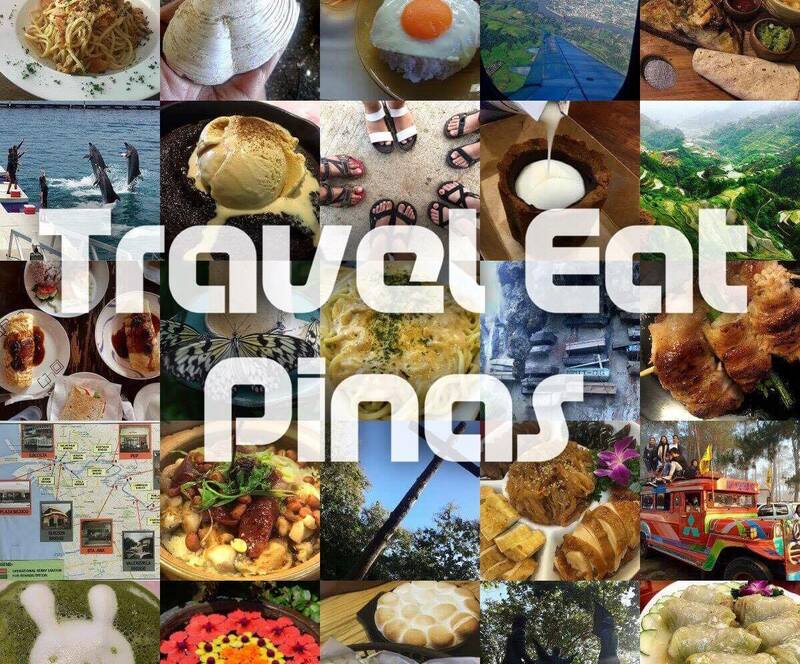 To help you decide on What To Eat at 150 Maginhawa Food Park, Travel Eat Pinas listed the MUST TRY DISHES in each food stalls. 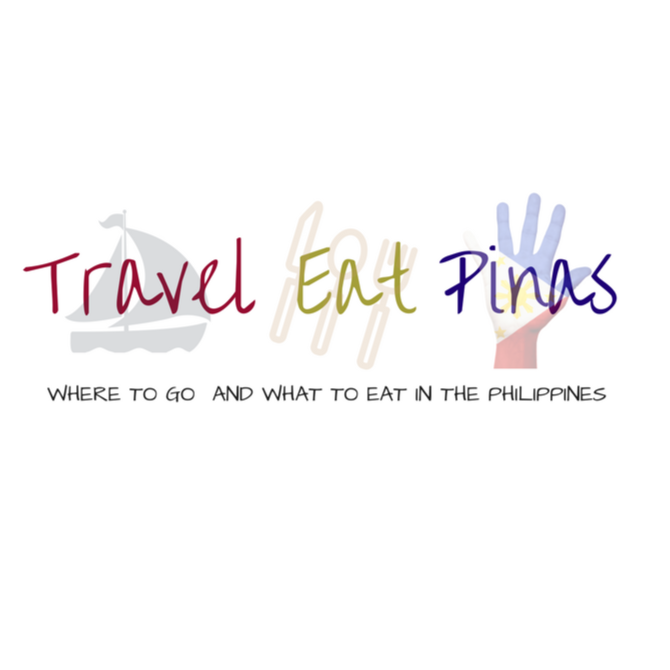 This list can guide you on what to eat in the food park and where you can find the dishes you are craving for. Wings Gone Wild serves classic and spicy buffalo wings with special dip, chicken nuggets and skin, sausages and side dishes such as cheddar stixx, buffalo mojos, and spam fries. Crispy on the outside and juicy on the inside Mild Classic Buffalo (5pcs), Php 170. Finger liking Salt and Pepper Buffalo (5pcs), Php 170. Hungarian Sausage Topped with Twister Fries, Twisted Metal, Php 145. Sam’s Ice cream and shakes serves handcrafted ice creams in a cup, cone and bun, signature ice cream combination, signature shakes and fresh fruit shake. Campfire Shake (Chocolate, chocolate and caramel drizzle, crushed graham, chocolate sprinkles, marshmallow), Php 160. The piggery promises to provide all pork comfort food from our all-time favorite Crispy Pata, Pork Sisig, to Pork Buns and even Sisig Carbonara. 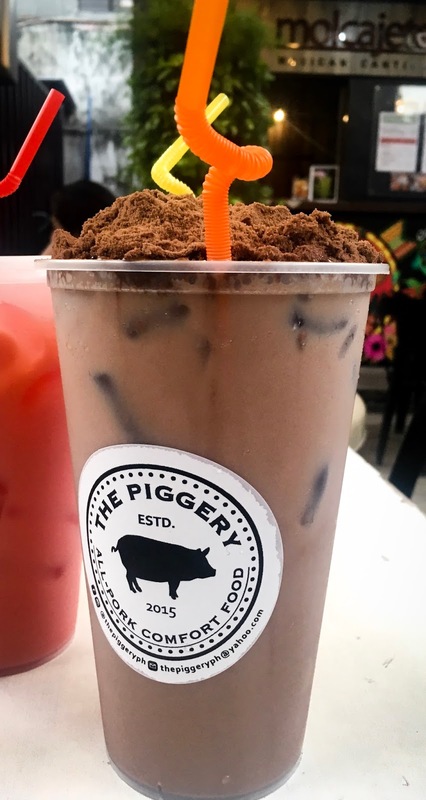 Aside from this, The Piggery is also known for its Milo Dinosaur that can be served in one or two liters. 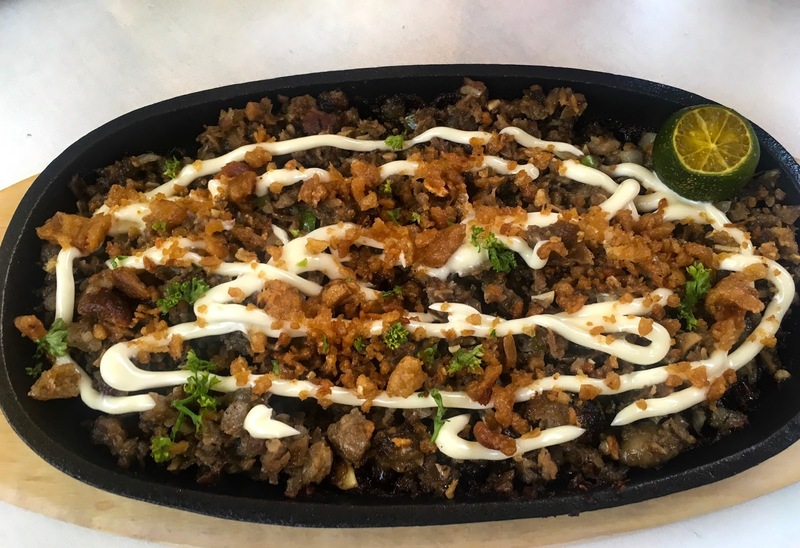 Grilled Pork Sizzling Sisig, Php 220. Pork Nuggets, Bacon Chips, Chairman Chops with Tonkatsu, Honey Pinacurat and Sweet Chili Sauce. Php 350. Milo Dinosaur, One Liter Php 120 and Two Liters Php 200. Molcajete Mexican Cantina is not your ordinary Mexican Food Stall. They serve one of the most flavourful tacos, nachos, and burritos in the metro. Nacho Pequeno has chips, Pico de Gallo, Cheddar cheese, Jalapeno Smothered with cheese sauce ans sour cream. Php 125. Carne Burrito is made of Mexican Rice, Beans, Cabbage, Pico de Gallo, cheddar cheese, sour cream and Pork Carnitas. Php 175. Soft Pork Tacos, Php 125. DZ Diner serves comfort dishes such as fries with toppings like bacon, pesto and corn beef, pasta, panini and main course dishes like steak and kinds of seafood. Tender and juicy Beef Salpicao, Php 180. Carbonara topped with bacon bits. Single servings costs Php 140 and Php 370 for 3-5 person. Churros lovers would definitely consider Xurreria Café as their heaven. Xurreria serves Spanish donuts or churros in chocolate, hazelnut, cream cheese and matcha dip. They also have beverages such as hot and cold coffee and frappe that perfectly match their churros. Classic Churros in Chocolate and Hazelnut Dip, Php 150. Canadian Snack Shack serves simple, fresh and flavorful Canadian cuisines from appetizers to deserts. Freshly cut fries that are cooked twice to achieve the right crispiness and topped with cheese curds, maple bacon syrup, and special beef gravy. Maple Bacon Poutine Php 240. Pizza crust topped with Tomato Sauce, Canadian Bacon, Basil, and Mozzarella Cheese. Canadian Bacon Pizza, Php 325. Canada's version of Chocolate and Cream Custard. Nanaimo Bars, Php 50 per piece. Streets of Saigon brings the tasty and flavorful Vietnamese cuisine to the street of Maginhawa. Fried Spring Rolls. Chagio, Php 180. Fresh Spring Rolls. Goi Won, Php 160. Vietnamese Beef Noodle Soup. Pho Bo, Php 190. Balay Bagnet serves traditionally cooked Ilocos Bagnet with different sauces and dips. Balay Bagnet caters rice and barkada meals, merienda inspired bagnet dishes such as pandesal-bagnet slider and bagnet canton, ensaladas and beverages. Binagoongan Bagnet with Rice costs Php 180, Original Nilasing na Bagnet with Rice also costs Php 180 while Jelly shots in strawberry and mango with a kick of Vodka is included as a dessert on the side. Ahlee’s serves fresh and juicy off the grill dishes that ignite flavors in every bite. T-Bone Steak with Baby Potatoes and special sauce, Php 250. Flavorful Bakes Mussels, Php 180. Juicy and perfectly seasoned Liempo with Baby Potatoes, Php 150. Cellar 150 is the first wine cellar in Manila that is situated in a Food Park. Cellar 150 serves the finest wines along with brick oven pizza, beer, and beverages under Fruitas Group of Companies. Slo-cooked All Beef Pizza, Php 295. Shou is the only fresh and hand-pulled noodles served in a Food Park. Shou serves hand-pulled noodles that are traditionally made. Shou offers Old Beijing and Dry Noodles, Rice Meals, Dumplings, Siopao and Siomai. Hand-pulled Old Beijing Noodles, Php 145. Tender and flavorful Braised Sliced Pork, Php 149. Yeah Burgers x Sandwiches serves flavorful and mouthwatering all American burgers, sandwiches and side dishes. Double Patty Burger with Lettuce, Onion and Cheese Sauce, Php 295.